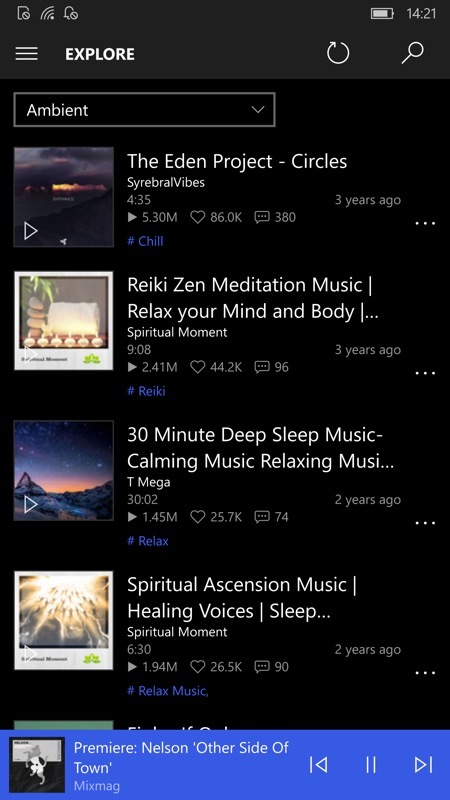 You may remember that I reviewed the SoundCloud client AudioCloud UWP here, just over a year ago? Well, I have good news and bad news. Firstly, it's more stable and has a new playback speed option. Secondly and on the 'bad but understandable' side, SoundCloud's laweyers have been onto the developers and the latter have had to knock the offline playback functions on the head. So from now on it's all streaming, all the time. Which may have an impact on your data bill if you like listening while mobile. Audiocloud is a music discovery, playlist curation and streaming audio app powered by SoundCloud. Experience advanced features such as gapless playback, playback speed control, sleep timer, drag-and-drop playlist management, Cortana voice commands and Live Tile integration! 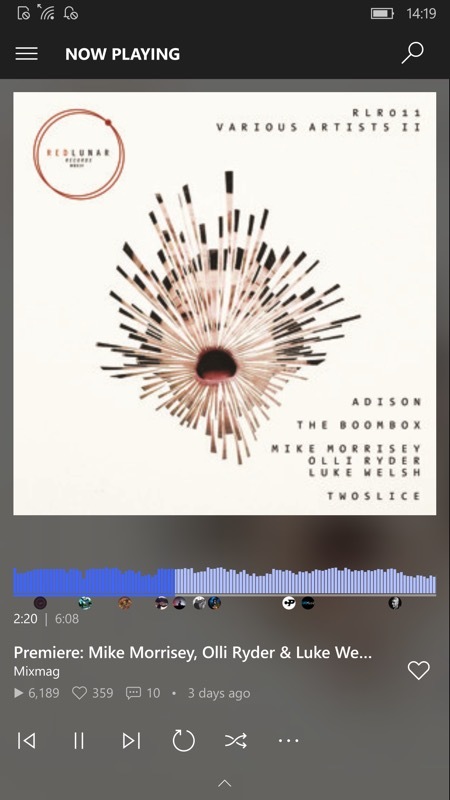 It works really well and has an interface that's reminiscent of Groove Music and Grover Pro (to name but two), looking beautiful and helped along by some really interesting 'indie' track artwork from the musicians who have uploaded their works. AudioCloud is free to use and contains no ads, but there IS an in-app purchase system in case you're so impressed that you want to donate to the developer to support future versions and projects.